How Much Does a Typical ERP System Implementation Cost? There are many reasons companies begin the search for new Enterprise Resource Planning (ERP) software. IQMS recommends that you make sure your software vendor includes all these costs in their proposal to you and that you will have a reasonable estimate of the total costs if they are willingly "putting them on the table" for you to see. The total costs of implementing will never be known until you complete your project because hindsight is 20/20. However, such retrospective analysis will do you little good in evaluating your budget that is prepared before completing the implementation of your new ERP system. 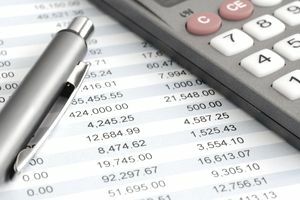 While you can never know with any precision what your final costs will end up tallying, you can ensure that your budget is at least reasonable. There is no worse feeling in the business world than being over budget, and many projects are over budget only because they are under-budgeted. So make sure to do some simple checks to see that all the costs are included, and that the budgeted costs seem reasonable. This begs the question of "What are reasonable costs?" The best advice comes from J. Carlton Collins, CPA, who wrote that "The reality is that the cost of implementing a mid-market to high-end accounting software system will typically range from 1:1 to 2:1 compared to the cost of the software." This simple rule of thumb can guide you in your total costs. The total cost overruns are usually much higher than that of adequate planning, preparation, and testing. You should expect to spend 20 percent to 25 percent of your costs in this planning and preparation phase, and Collins indicates that only 10 percent of costs are spent on actually implementing the software, while the lion's share of the ERP implementation costs are training costs. Is ERP the Best Option for Your Company? The takeaway here is that you need to consider that your total costs of ERP implementation include all the costs and that these cost estimates are reasonable if you want to get an accurate picture of what you will be spending on your new system. You should also devote adequate resources to planning, preparation, testing, and training because if you do not spend money in these areas, then you will likely end up paying more than anticipated for your ERP system implementation.